The Mayor of London has pledged £25,000 towards a project to convert an abandoned toilet on Clapton Common into a community space – but it will only receive the money if the other half of the total can be raised in the next month. Liberty Hall is one of 26 crowdfunding projects that Mayor Sadiq Khan recently chose to support. Once open, the space will host a community kitchen and garden, a coffee kiosk, a bike repair clinic and more. 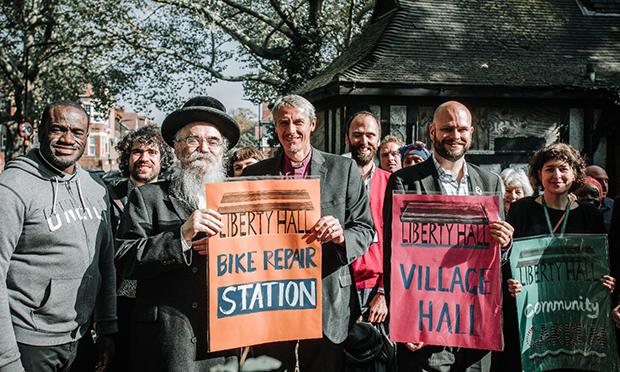 Campaigners from Clapton Commons Community Organisation (CCCO), the local group behind the restoration plans, are scrambling to raise the rest of the £50,000 total by 17 December, after which the Mayor’s pledge will be withdrawn. The group’s crowdfunder sits at £35,926 at time of writing, with 28 days to go. Examples of what Liberty Hall could offer upon its completion are being used to demonstrate the project’s potential and encourage local engagement. Amnah Alshammari is helping to lead outreach on her estate and has set up a women’s community group called Peace of Mind, which meets to chat and unwind over arts and crafts activities. 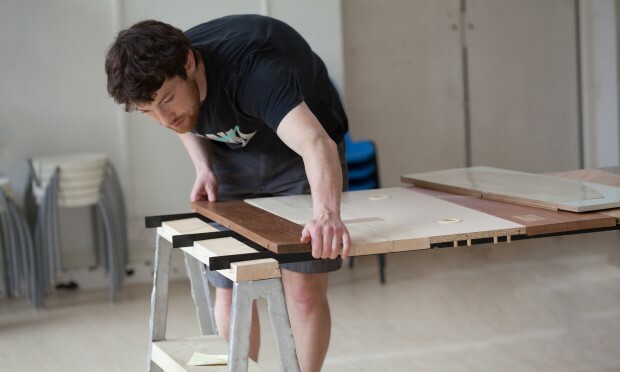 Local designer Milo McLoughlin-Greening created a four-metre-long communal table from discarded materials he collected from knocking on people’s doors before inviting all those who had contributed to have a dinner around it. Several fundraising events are planned over the next few weeks in an effort to boost the total. They include a candlelit gig at St Thomas’ Church with two Mercury Prize-nominated artists and a lip-syncing extravaganza at nearby Tyssen Primary School. Last month, Hackney Mayor Philip Glanville joined local leaders at Liberty Hall to call for the public’s support.